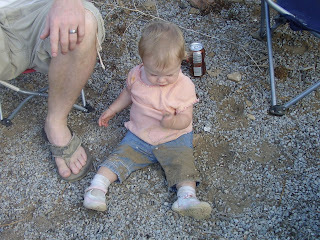 Lainey had tons of fun "playing" in the dirt, it looks more like burying herself to me!!!! 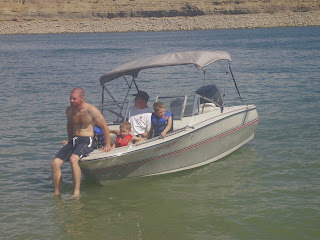 a little boating, and played on the beach. We stopped by DinasaurLand to let the kids play. 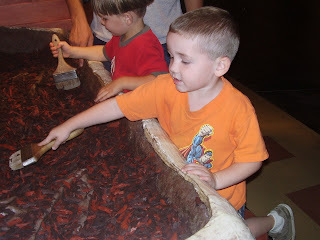 Peyton loved digging for dinosaur bones.